"What this country needs is a good cheap cigar." Ok, so we took a few liberties with this (in)famous quote but who can blame us? Besides, 5 cents back in 1919 would now be worth just under $3.00 today (adjusted based on the nominal GDP per capita) so we've got such a deal for you. 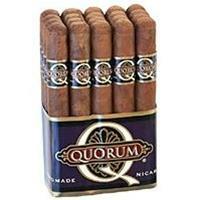 Not only do we have some good, cheap cigars, we've got some GREAT, INEXPENSIVE CIGARS! Below you'll find a great selection of bundle cigars at fantastic prices. Don't confuse these with cheap, machine-made cigars. These are all hand-made long-filler cigars that rank right up there with our finest premium cigars. We have offerings from La Flor Dominicana, Cusano, Quorom and our own Tobacco Barn cigars that we've partnered with Gran Habano on... Most of these are great cigars that come in significantly less than premium cigars that come in fancy boxes and/or with fancy labels on them. In fact, the bundles from LFD are comparable to their Premium Line of cigars but with wrappers that just didn't make the cut to get the Premium Line label on them. Thomas Riley Marshall's infamous quote "What this country needs is a good five-cent cigar" is probably the only thing most folks know about him. Despite serving as Vice President of the United States under Woodrow Wilson, he had previously had limited experience in government or business other than 4 years as Governor of Indiana. He was, however, known for his quick wit and sense of humor. The quote above was uttered as an aside to a clerk in the Senate when a Senator paused during a particularly boring speech after saying "What this country needs..."